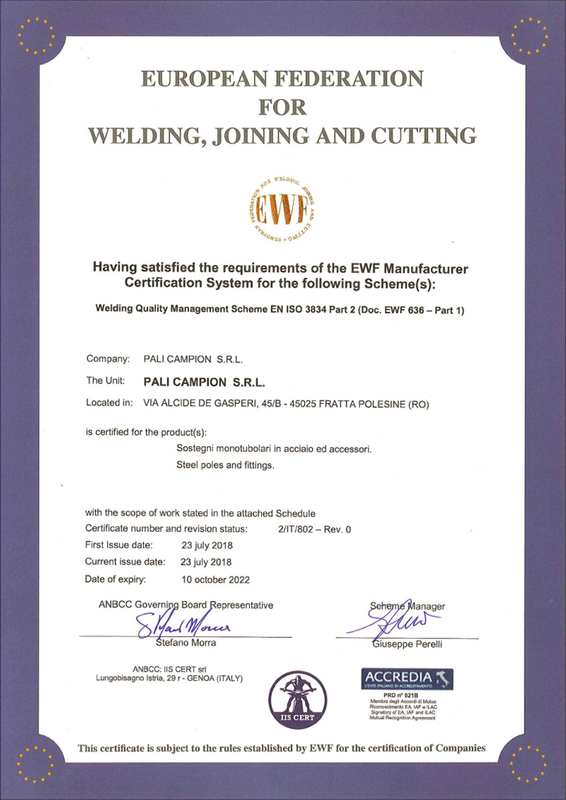 Welding is a special process, whose good execution is essential for the safety of the structures. 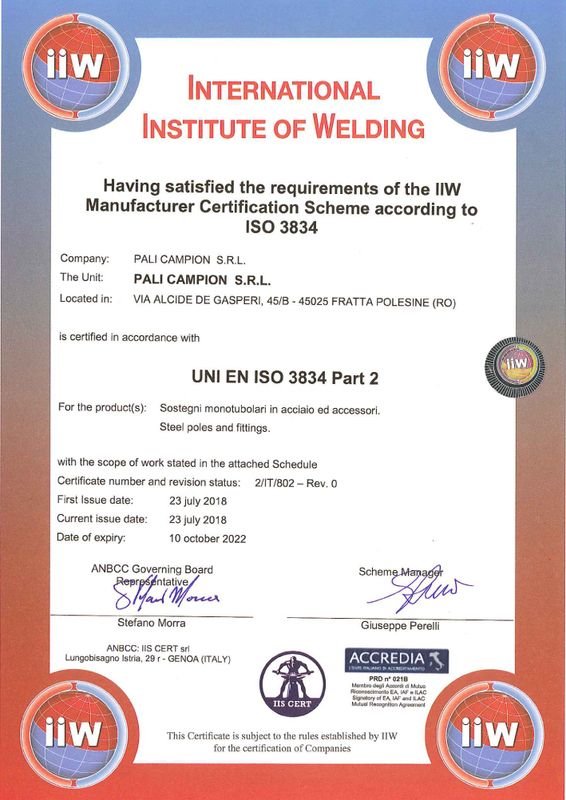 In order to grant this to our customers, Pali Campion srl, adopted a structured system, composed of automated approved process, qualified welders, checked regularly by specialized third party and an internal coordinator of the system and the non-destructive test. 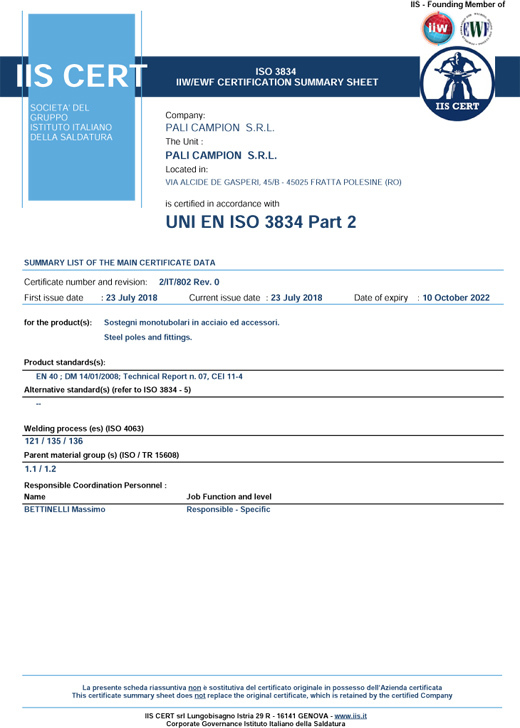 The whole system obtained the welding quality certification according to EN ISO 3834.